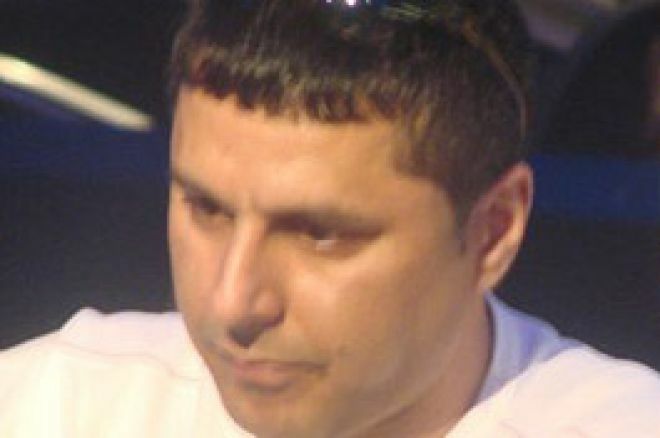 The Newcastle leg of the Grosvenor UK Poker Tour has been won by Mazhar Nawab of Sheffield. Nawab defeated Darren Fuller heads up in one of the longest final tables seen yet on the very popular tour. Maz won £66,000, plus £10,000 added by Blue Square and an entry into the grand final at the Victoria in London later on this year. To those of you that don't know Maz, he is a rising star in the UK scene and probably Britain's best kept secret. In the last year he has notched up 10 final table appearances in ranking events, including a win in a GUKPT side event, 9th in the Nottingham GB Poker Tour and earlier this month a 2nd place in a $5000 event at the Bellagio Cup. I've had the pleasure of playing with Maz on several occasions and it has always been very deep in a tournament, he is a very humble and likeable guy who knows how to get into the big money. Nawab took control of the final table when he took on chip leader Tony Horn early on. Nawab held Q-T on a Q-2-2 board, when Horn put the pressure on announcing all-in with pocket nines Nawab had a decision to make, he eventually called and took the chip lead, crippling Horn in the process. The action was very slow paced from that point on with the majority of preflop raises taking down the pots. When Maz finally got heads up with Darren Fuller a heads up match lasting well over five hours ensued. Eventually the blinds started to take over and Fuller went all in with J-3 to be called by a dominating J-Q for Nawab. The GUKPT is becoming one of the most popular stops on the UK circuit and has been attracting a nice mix of WPT/WSOP/EPT champions as well as plenty of amateurs and internet qualifers attracted by the affordable £1000 buy-in. The next stop on this tour is Luton in August. Expect to see Mazhar Nawab there and expect to see him wherever there is a final table. You may not know him yet but he is climbing up the UK rankings and it wont be long until he breaks into biggest events Europe and the World has to offer. Ed note: The new Mansion Poker guaranteed prize pool tournaments start today!